Want to take a hands-off approach when it comes to your mouse? You can manipulate windows, switch programs, lock your PC, and even navigate the new-fangled Windows 8 “Start” screen using nothing but your keyboard. 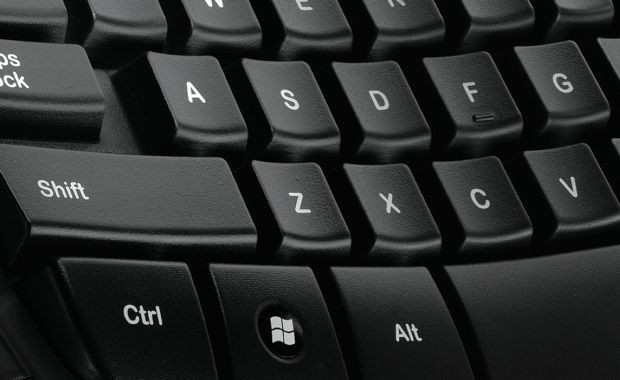 Read on for 25 keyboard shortcuts that every Windows user should have at their fingertips, from the classic ALT + TAB and CONTROL + C to the more esoteric CONTROL + SHIFT + ESC and Windows + Z. The last resort (well, besides the power button) for many a Windows user after a program freezes on the desktop, this essential three-key combo call up the Windows Task Manager, which lets you pinpoint and close a misbehaving application. Note: on Windows 7 and 8 systems, CTRL+ALT+DELETE calls up a screen with other options besides launching the Task Manager, including locking the computer, switching the current user, and logging off altogether. In Windows 7 and 8, jumps you straight to the Task Manager, skipping the intermediate “lock” and “switch user” screen. Press ALT+TAB to call up a rectangular window with icons representing your currently running programs; just “tab” over to the app you want, then hit Enter to make the switch. A classic, must-know shortcut. Essentially the same as ALT + TAB, a keyboard combo that lets you cycle through all your running applications, but with an eye-popping difference: your open apps will appear in a nifty 3-D carousel instead of a basic pop-up window. Open the pane of so-called “app commands” at the bottom of a Windows 8 app. Open the “charms” pane on the right side of the screen—you know, the one with the Search, Share, Start, Devices, and Settings buttons. Need a little help? Tap the F1 key at the top of your keyboard to launch a Help window for the application you’re currently using, or for Windows in general. In Windows 7, gives you instant access to the Start Menu; just use the arrow keys to navigate to the program, directory, or option you want, then hit Enter to select. Using Windows 8? If so, the CTRL + ESC keyboard combo and/or the Windows key calls up the new Start screen—and yes, you can use the arrow keys to navigate the Start screen tiles. Closes the active window you have open, such as an open Internet Explorer window. Also, if the window you’re closing is the only one that’s open for a given program, the app in question will go ahead and quit. Launches Windows Explorer (or File Explorer, as it’s now known in Windows 8), the essential desktop browser for all the applications, directories (like your personal Windows user directory), documents, and other system files on your PC. Need to see your desktop this instant? Use this keyboard combo to minimize every open window at once, thus revealing the Windows desktop. So, you found that missing file on your desktop, and you’re ready to dive back into that Excel chart. Now what? Strike this trio of keys to restore all the windows you just minimized. Sends you instantly to the Windows lock screen, perfect for hiding your work (or your Facebook timeline) during a quick trip to the restroom. Snaps the active window to the top, left, and right sides of the desktop, depending on which arrow button you press. Tap Windows key + down arrow to return the window to its original spot, or tap the keys again to minimize the window. Lets you rename the selected file or folder. In your favorite web browser, sends you back to the previous web page (left arrow) or forward (right arrow). For web browsers and many other applications, lets you search the open web page or document. Opens a system menu in the top-left corner of the active window. From this menu, you can select Move (to move the window around the screen using just the arrow keys), Size (to resize the window with the arrow keys), Minimize, Maximize, or Close. In a web browser, tap CONTROL + T to open a new browser tab, or SHIFT + CONTROL + T to re-open the last browser tab you closed. Got more Windows keyboard shortcuts you’d like to share? Post ’em below.